As promised, here are some photos from the Sept. 10 grand opening of the new Visitors Center at Four Roses Distillery in Lawrenceburg, Ky. 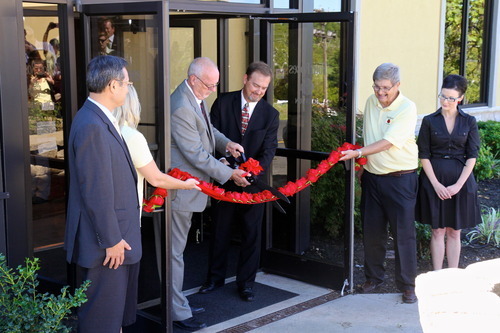 Above, master distiller Jim Rutledge and Kentucky Department of Tourism Commissioner Michael Mangeot cut the ribbon – or in this case, the rose garland – while Four Roses brand ambassador Al Young lends a hand. The symbolic cut was followed by a shower of rose petals. 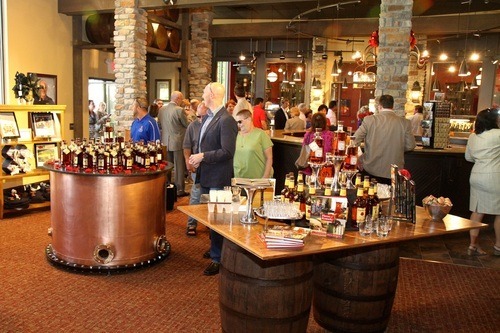 The new Visitors Center and gift shop includes antique bottles and other Four Roses memorabilia along with more space for tasting the distillery’s wares following tours. 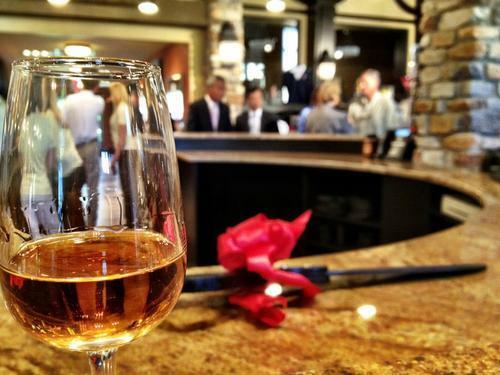 Four Roses expects to welcome 50,000 visitors by the end of this year, according to a news release.